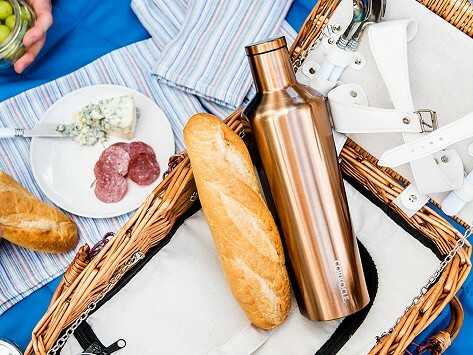 Independent barware company Corkcicle creates innovative ways to chill, store, and serve your favorite drinks. 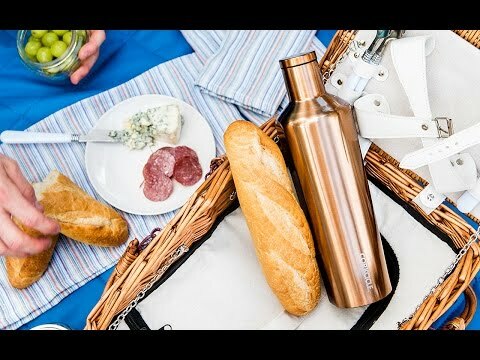 Vinnebago is a stainless steel, vacuum sealed, triple-walled beverage bottle that keeps what’s inside hot (up to 12 hours) or cold (up to 25 hours). This container won’t shatter so it’s safer than glass and perfect for venues where glass isn’t allowed. Dimensions: 8" x 4.5" x 12"
This is exactly what I wanted and I'm very pleased. I love them. I use for hot and cold. They stay the temp as described and I've never tasted anything except what was in the bottle. Great product!